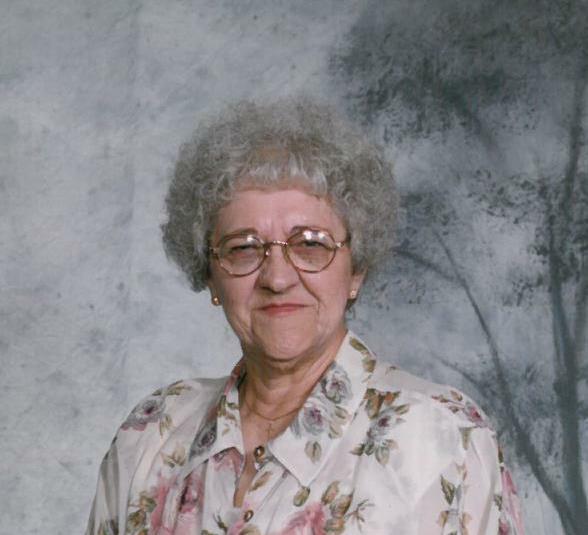 Mrs. Dorothy Lorraine Gasque, age 82, of Brandenburg, KY, passed away on Monday, March 18, 2019, at Hardin Memorial Hospital in Elizabethtown, KY. Mrs. Gasque was a member of the Brandenburg Church of God and a former longtime member of TOPS. Mrs. Gasque was preceded in death by her parents, Charles and Hattie Pearsall; her husband, Roy Gasque; and two sisters, Evelyn Pearsall and Ethel Fisher. She is survived by a sister, Marion Powell, Clarksville, TN; a brother, Lester Pearsall, Sr., Scottsdale, AZ; six nieces and nephews, Sherry McGivern, West Point, KY, Lisa and Billie Joe Powell, Jr., both of Clarksville, TN, Lester Pearsall, Jr., Larue County, KY, Richard Pearsall, Elizabethtown, KY, Larry Pearsall, Scottsdale, AZ; and several great nieces and nephews. Funeral Services will be held at 7:00 PM on Thursday, March 21, 2019, at the chapel of the Hager Funeral Home, with Rev. Randy Johnson officiating. Burial will be at the Kentucky Veterans Cemetery Central in Radcliff, KY on Friday, March 22, 2019, at 11:00 AM. Visitation will be held at the funeral home from 2:30 PM until the time of service on Thursday. Expressions of sympathy may take the form of contributions to the Brandenburg Church of God.